Deon Cole arrives for the 70th Emmy Awards at the Microsoft Theater in Los Angeles, Calif. on Sept. 17, 2018. 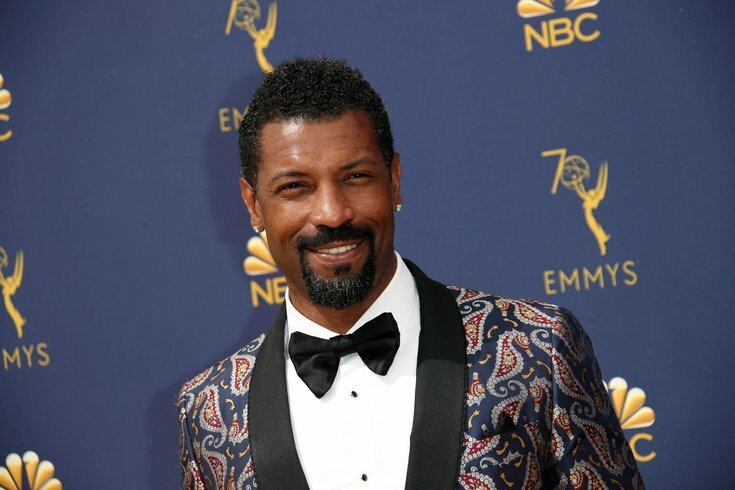 Television audiences may know the actor Deon Cole for his role as the spaced-out and oddly philosophical Charlie Telphy on Kenya Barris’ “BlackISH” and “GrownISH” on ABC (to say nothing of previous roles in Ice Cube’s “Barbershop" films, and the beloved “Angie Tribecca” series). Yet, it is as a stand-up comedian, where Cole does the most good, reveling in what he sees as the truth – PC police be damned – as you’ll witness during his show at the Liacouras Center this Saturday with DeRay Davis, Deon Adele Givens, Benji Brown, and the legendary Martin Lawrence. “What can you say man, it’s Martin Lawrence,” Cole said about one of his comic heroes while walking from the set of “BlackISH,” to the set of “GrownISH,” during a day of double-duty taping recently. And he's an inspiration to Cole, who also learned at the feet (or at least the live albums) of fellow legends such as Richard Pryor and George Carlin. Cole is good no matter what, as Kenya Barris, Larry Wilmore and a crew of writers and producers changed his life when they brought the Chicago-born comedian with the craggy voice to the set of “BlackISH,” in 2014. Since that time, he, too, has become something of a household presence on the high rated show. “Hell no, luckily, that character isn’t anything like me at all,” he said. Cole says that there is no weird aftertaste on the set of either Barris-created program now that the producer-writer left his longtime tenure at ABC for the greener financial pastures of Netflix. Barris left loudly too, dissing as he did ABC for hiring Roseanne Barr and network heads for pre-empting a controversial “BlackISH.” None of this phases Cole or the creative staff of both “BlackISH” and “GrownISH,” which remain, successfully, at ABC. “There’s no tension,” he said. You take it show by show, and audience by audience, and not let this comic craft die." Cole, too, is no stranger to controversy in his live stand-up set, as he is unafraid to ruffle feathers. Sure, his comedy has grown wiser – as has he – with age. But he sees comedy as a calling and a mission with responsibilities to uphold. “I don’t think that many comedians are living up to that standard. There’s so much going on in the world that you have to use your time on stage to shed light. Sure, you’re making them happy and laughing, but you do an audience no justice by hiding the truth. You got to sprinkle something in – that’s what I do – that helps the minds of people. Cole says that, on occasion, he tests his audiences just to see what their true opinions are. Deon Cole appears this Saturday at the Liacouras Center for the Lit AF Tour along with Martin Lawrence, Deray Davis, Adele Givens and Benji Brown. Click here for more information.